1. 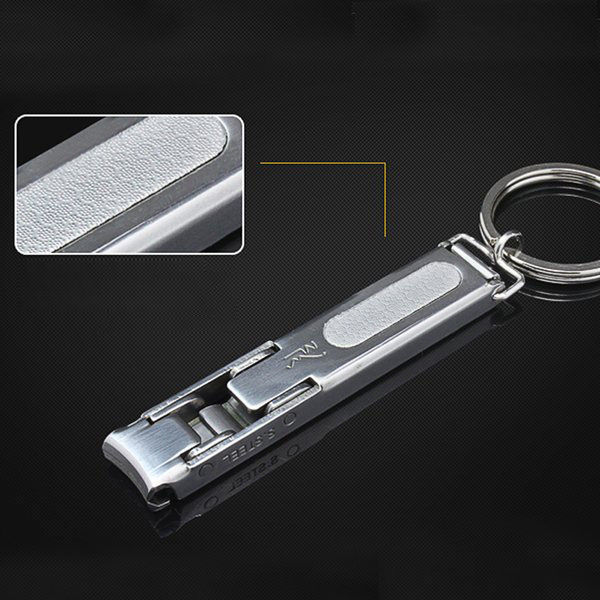 With Stainless Steel key ring attachment, easy to carry. 2. Concise design, Ultra-thin?ÿonly 0.5cm, light weight. 3. 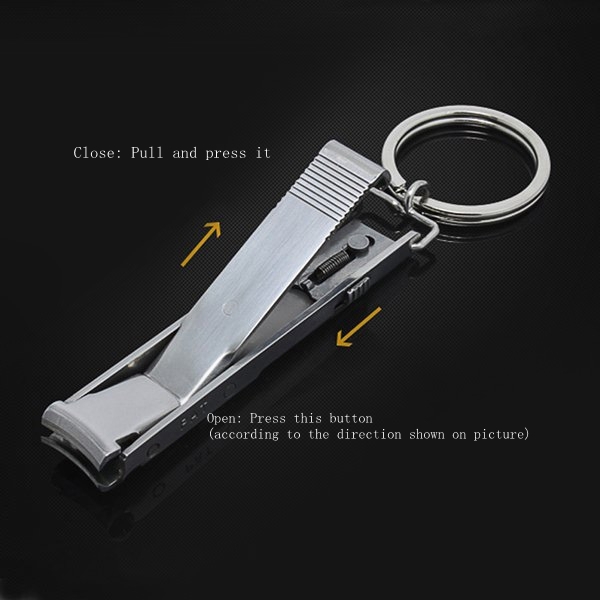 Includes clippers, nail file and key ring attachment. 4. Extra strong nail clippers will easily trim the toughest of nails. 5. When turned on, the button is pushed forward. ?ÿ ?ÿ When closed, the handle is pulled back and then press until locked.